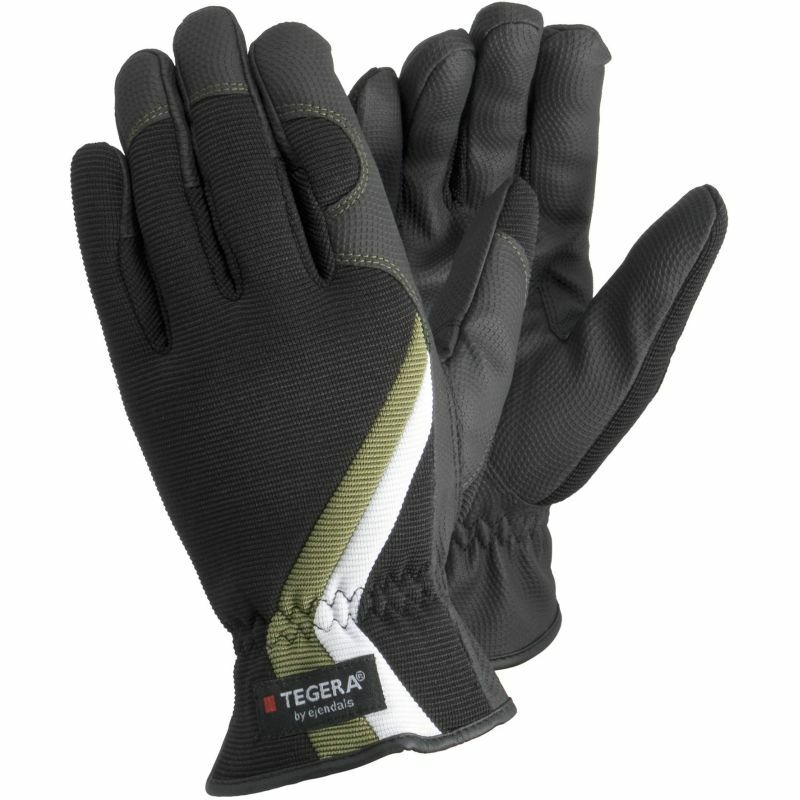 If you're looking for an extremely versatile safety glove that will protect your hands from abrasions, blisters and scratches during virtually any task, these Ejendals Tegera 90020 All Round Work Gloves are just what you need. Made from synthetic leather for comfort and a high degree of flexibility, with reinforced seams and fingertips for extra protection, these All Round Gloves are perfect for an array of light to medium work applications. The 90020 All Round Work Gloves are designated Category I gloves, which makes them suitable for minimal risk environments only. The Tegera 90020 All Round Work Gloves are available in three sizes that should suit the hands of most users. Please measure the circumference of your hand around the knuckles (excluding the thumb) with your hand open and your fingers together, and the length of your hand from the tip of your middle finger to your wrist.